This deeply engaging book introduces the reader to the creative chaos of the tiny Parisian studio of the great sculptor Alberto Giacometti, from the moment he and his brother, Diego, arrived in 1927, with all their possessions in a wheelbarrow, until Alberto's death in 1966. Michael Peppiatt relates how the artist first worked there as a member of the Surrealist movement and then how he gradually made his mark on Paris's artistic, literary, and intellectual worlds. After an enforced wartime exile in Geneva in a miserable hotel, he returned to Paris and to the same broken-down little shed of a studio behind Montparnasse where he struggled to realize his pared-down vision of mankind and which became a magnet for many of the great artists and writers of the time (from Picasso and Braque to Balthus, from Breton and Genet to Beckett). Peppiatt prefaces his story with a poignant, personal narrative of how as a young man he arrived in Paris with an introduction from Francis Bacon to Giacometti; the encounter was forestalled by the artist's very recent death, but Peppiatt instead got to know the key people in Giacometti's world. 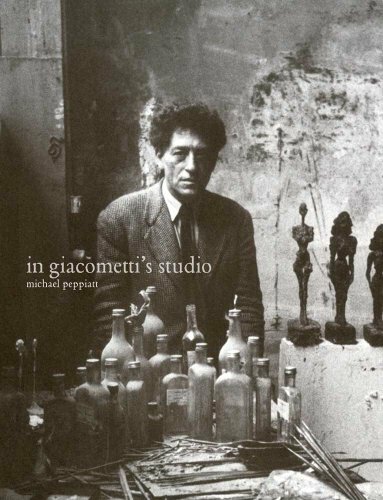 He explains how the studio, now dismantled, seems to be both Giacometti's most important artwork, encompassing countless complete or unfinished works, and the archive of years of struggle. With Giacometti's death, it became his greatest achievement, containing as it did the traces of a lifetime's search for truth. This vivid exploration of one of the most evocative and influential spaces in 20th-century art connects us with both a unique career and an entire, outstanding moment in French culture.